Meadowhall is a modern shopping center near Sheffield, South Yorkshire, which opened in 1990 on the site of a former steel plant. 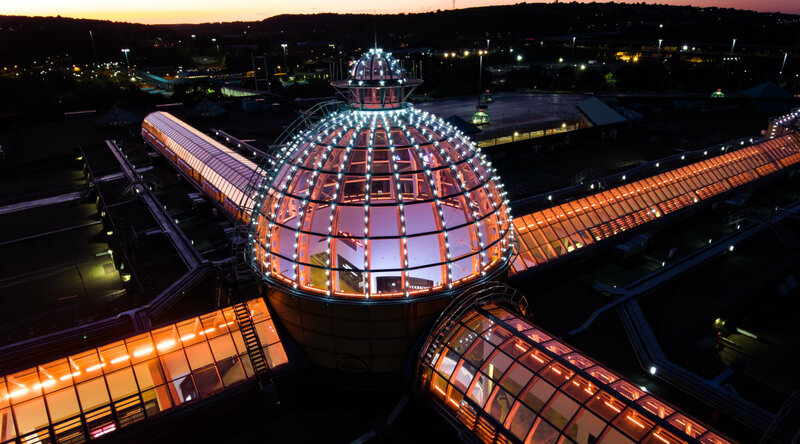 It is one of the UK's top five shopping malls, with 1.4 million square feet of ground space, 290 stores, 50 places to eat and drink, an 11-screen movie theatre, 12,000 free parking spaces and direct access by rail, road and tram. Over the past two years, operator British Land has invested £ 100 million in refurbishment and another £ 300 million in a leisure center expansion. 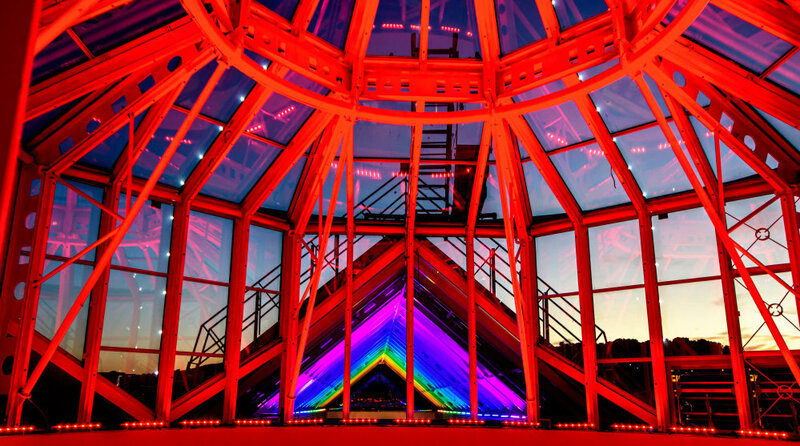 At the heart of the retail lighting installation is the dynamic color-changing LED lighting that is illuminating the glass roofs of the center’s various streets and domes since summer 2018. 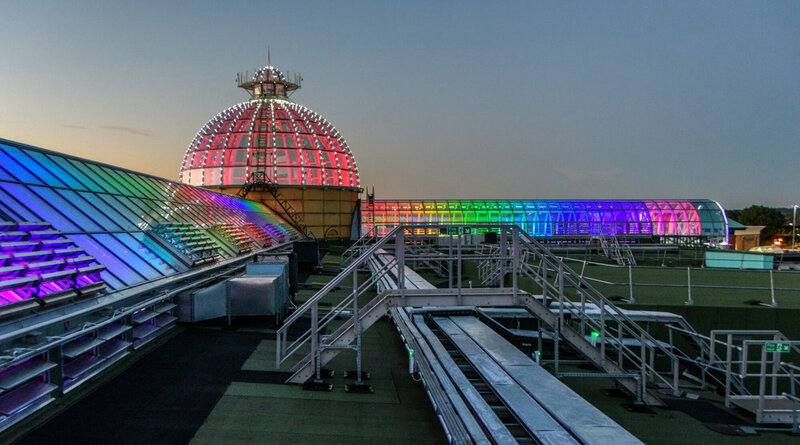 Traxon LED luminaires and e:cue lighting control from OSRAM Lighting Solutions account for the largest share of this unique light spectacle that can be seen for miles around. 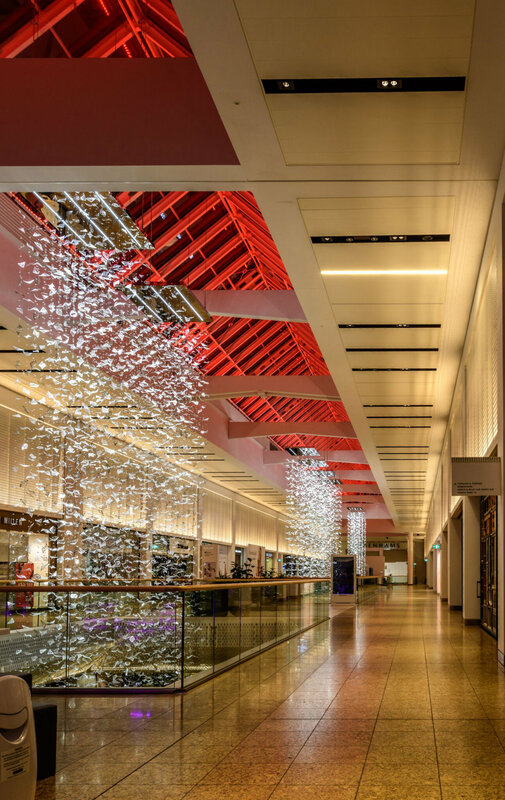 Center operator British Land commissioned lighting designers BDP with a new lighting concept that was to upgrade the street and entrance of the "Park Lane Mall” with a new aesthetic lighting solution. 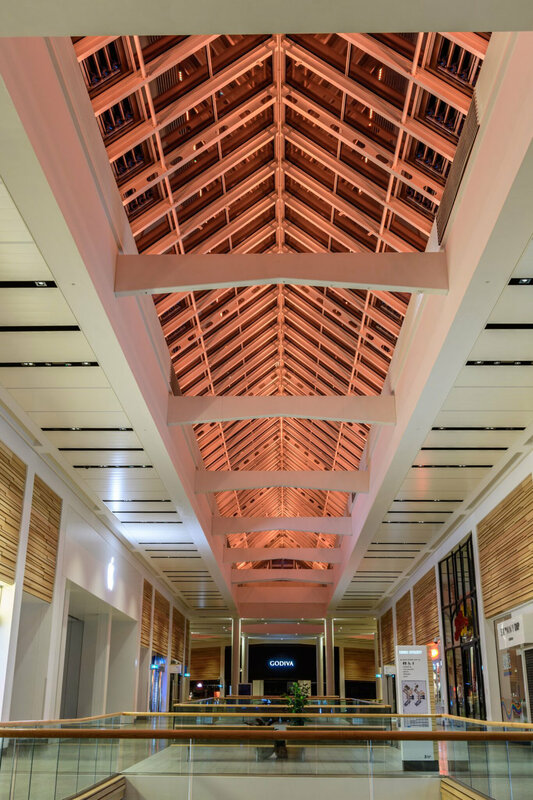 As part of this upgrade the client expressed a desire to illuminate the glass apex structure that runs the length of the mall with a dynamic color change LED solution that could be controlled via a hand held device to trigger pre-programmed shows and effects. This initial partial luminaire installation by Lite Ltd. for one street and two domes is still in place. 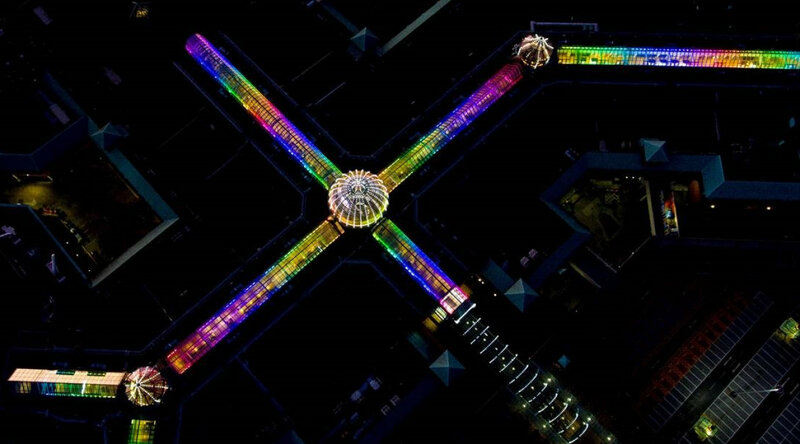 In the meantime, however, OSRAM Lighting Solutions has won the assignment for additional seven streets and three Domes. A total of 710 Traxon Nano Liner Allegro RGB 1PXL 50x10 are used here now, with customized tail cable lengths to suit the required spacings. The entire lighting control is handled by one LCE MX server and four Butler S2 controllers. In addition, OSRAM Lighting Solutions has replaced the existing control system. 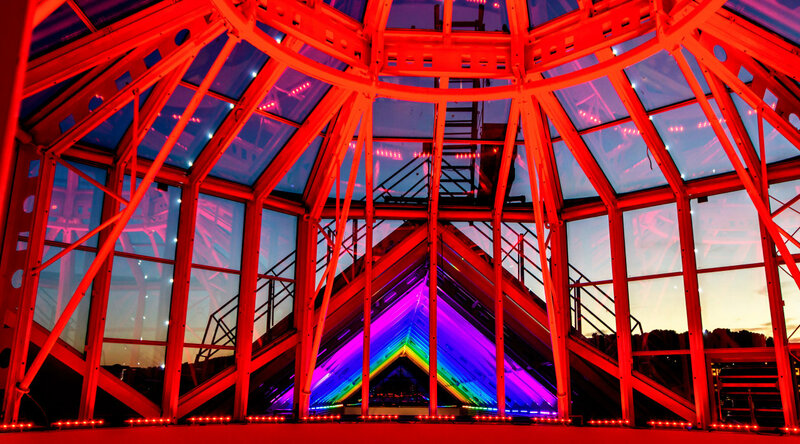 The entire roof system is controlled now by the powerful and easy-to-use LAS Lighting Application Suite software. There are many different colored scenes that can be chosen (via the centers network connected PC and the LAS software web portal ‘ActionPad’) depending on a pre-determined or scheduled event or the operators can simply choose a color using a color picker. The main benefit is that the center can use the flexibility of the Action Pad from within their own intranet to choose the scene/color – which hasn’t been possible in the past as the BMS (building management system) was controlling the output.